We attended the German Developer Award in 2011 already and won in the category of Best Mobile Game 2011 with our game “Pudding Panic”. This year, on 12th of December, we handed in the pet of our The Great Jitters family “Haunted Hunt“. 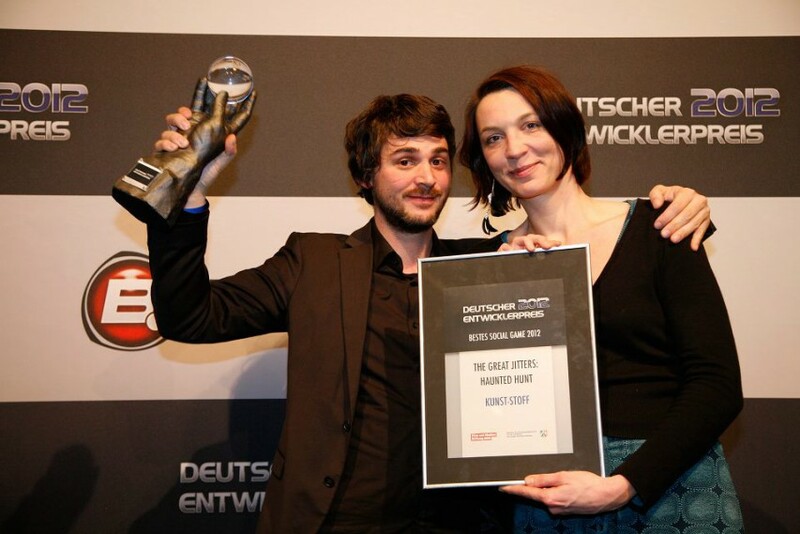 Surprisedly, CEO Patrick Rau and Creative Developer Vera Richter accepted the trophy for the Best Social Game 2012 and both . We would like to thank the organizers and the jury of the German Developer Award 2012 for this honour. Of course, a big gratitude goes to our Jitters-fans and the complete kunst-stoff team!